Ahouse is the biggest investment that most people make throughout their life. A good paint job can keep your house looking new and fresh. Not only does it make your house retain its beauty, a good paint job can actually increase the value of your home. This is why you need to make sure that the paint job is done properly the first time. Before you choose someone to paint your home, you should find reputable and dependable house painting Eugene Oregon professionals. Affinity Painting is well-known for doing excellent professional work. Keep in mind that professionalism and quality workmanship are very important considerations you should make when deciding who to choose to provide you with house painting services. You need house painters that have a proven reputation for providing you with a high quality painting job. Most reputable painting professionals deal with painting issues on a regular basis and have developed great expertise in their field, however, not only are we at Affinity Painting highly knowledgeable and experienced in providing efficient painting service, we do the job right the first time. If you want great painting service and long lasting results, you should choose reputable painters like us to perform the painting services at your home. 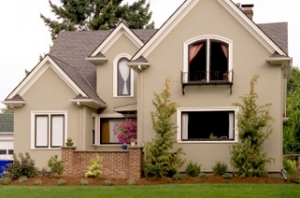 Reliable house painting Eugene Oregon experts will be able to give your home the smooth, gorgeous look you have been dreaming of. When you hire a quality painting contractor or company, you will get high quality painting service and won’t have to deal with inefficient or inexperienced painters that use an incorrect application of paint or use a quality of paint that will not last for years to come. Our well trained professionals have the knowledge and skill to give you a fresh, attractive paint job. So, when you are ready to hire the right painters for your house painting Eugene Oregon project, look no further than expert house painters Eugene Oregon for optimal results. Make the right choice and call Affinity Painting today for a free no obligation estimate for your next painting project at your home.